Entertainment based around the passion for music. The philosophy is simple! Experience the uniqueness of an entertainment group that settles for nothing less than producing a great event!! 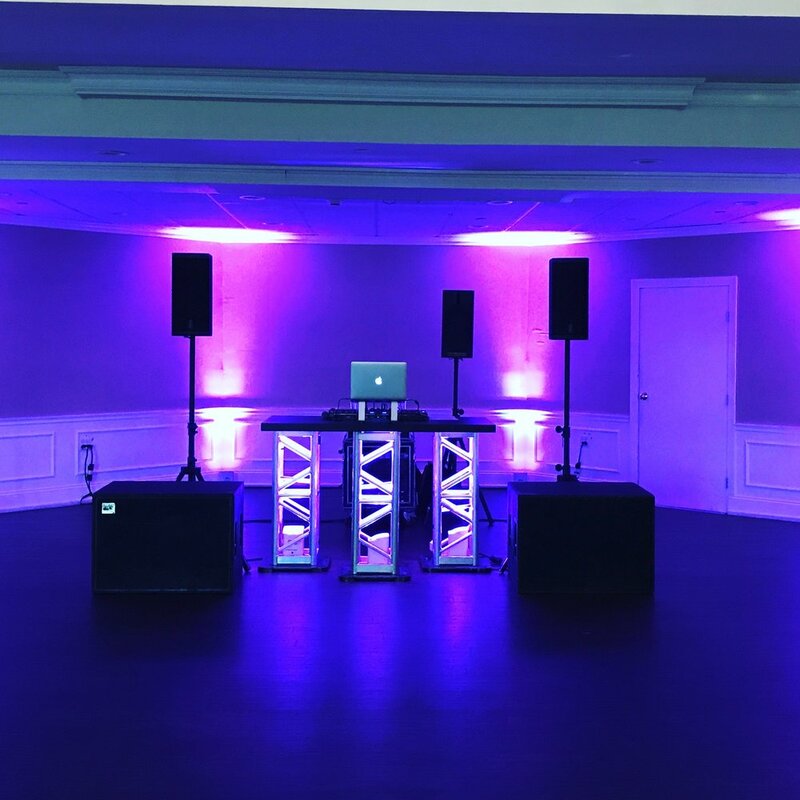 FUNKTIONDJ is a comprised of premier talent with years of experience always striving to stay focused on making sure their clients are receiving the highest quality of service in musical entertainment. We believe that no 2 events can ever be the same. 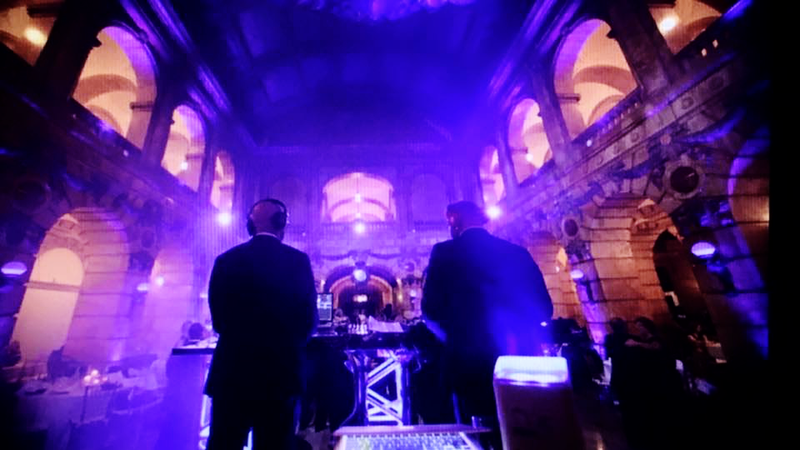 Each event is considered a journey from start to finish and FUNKTIONDJ is here to assist in that journey! 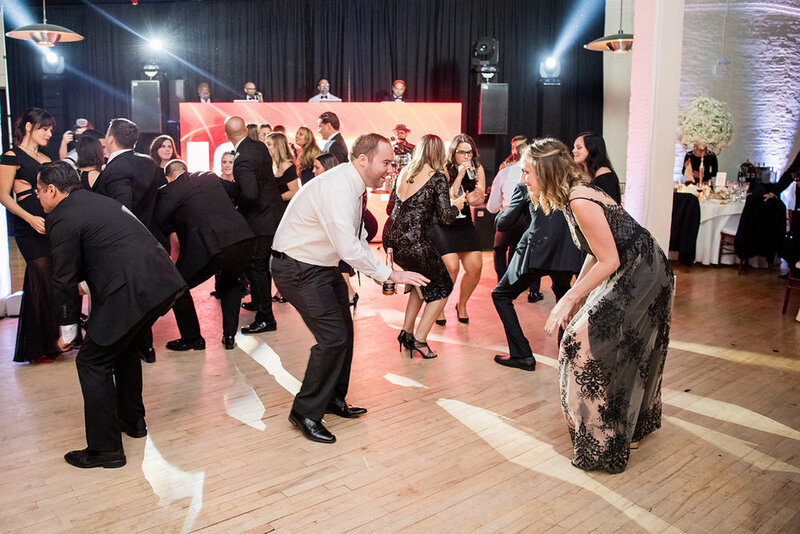 Whether you are looking for that special dance, increased energy on the dancefloor or just traditional setting , look no further. 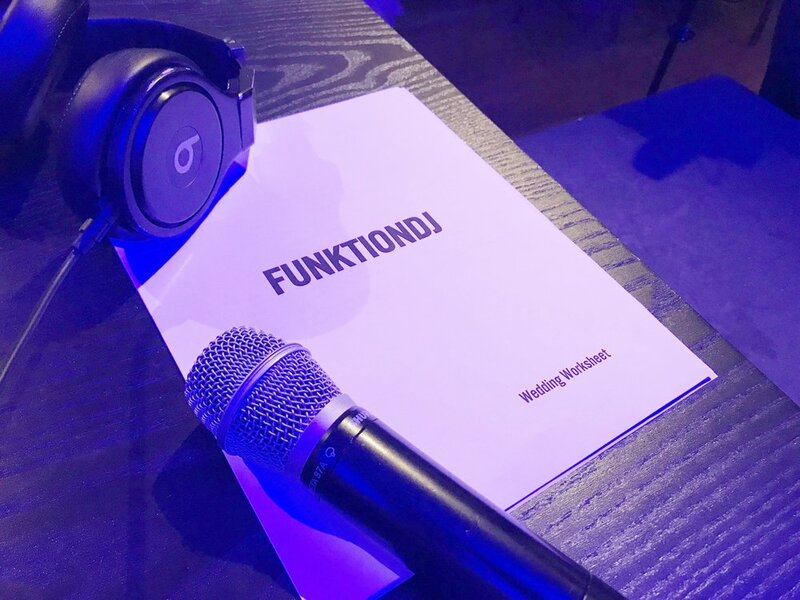 FUNKTIONDJ located @thefunktionhouse in RedHook Brooklyn provides musical excellence to the world. Let us produce your event!! 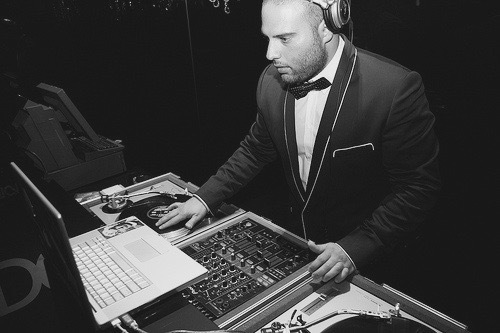 "We deliver Quality and Experience focused towards musical excellence"
FUNKTIONDJ does not just stop with the music. 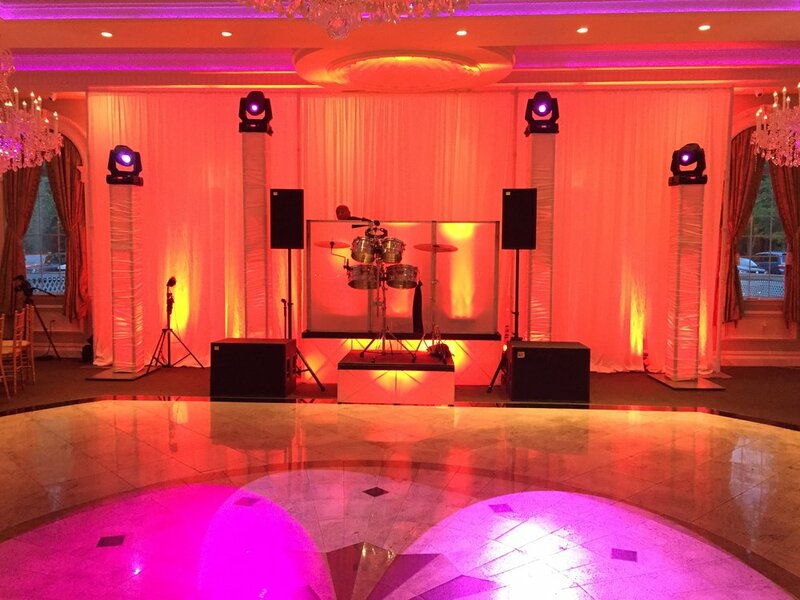 We offer an array of unique services to enhance the look and feel of your event. Below highlights a different mix of ideas that can be added to your party. 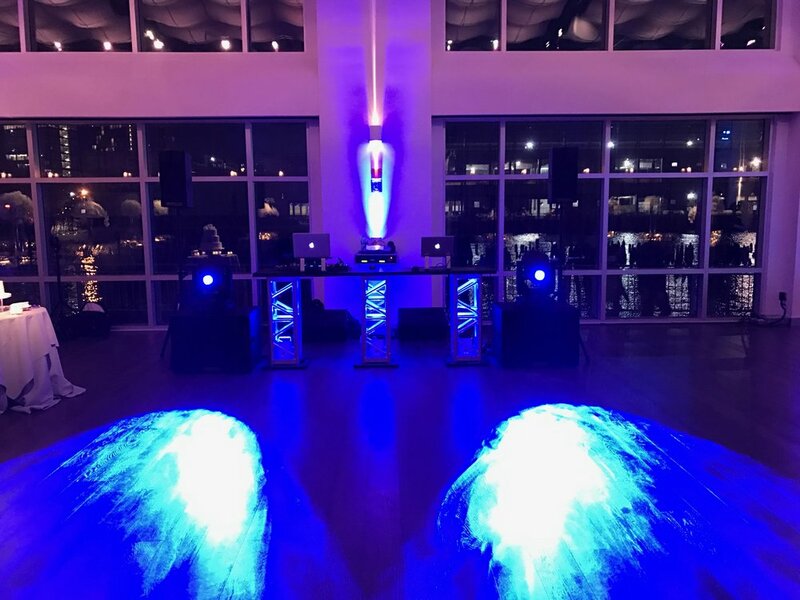 FUNKTIONDJ can create any dream you imagine! 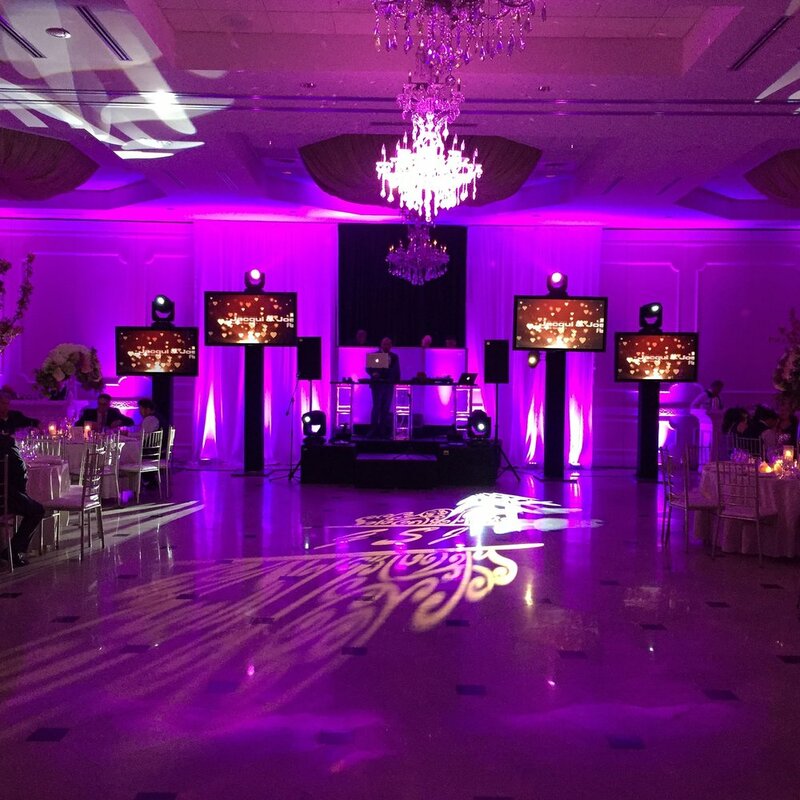 Whether it be a spotlight on the dance floor, a strobing effect on a musical break down, or your name in lights, our lighting designers work very closely in customizing the right theatrical lighting look for your event. 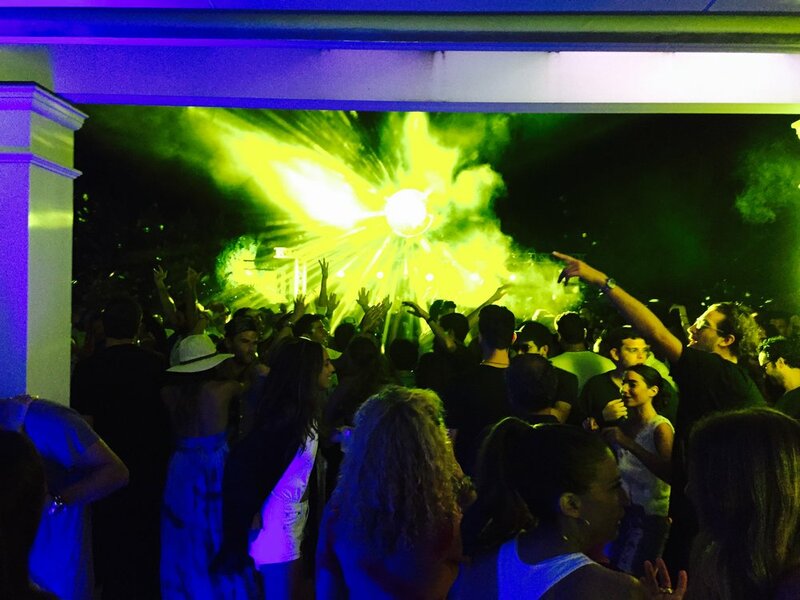 Club Lighting - intelligent moving lighting fixtures usually placed in pairs. 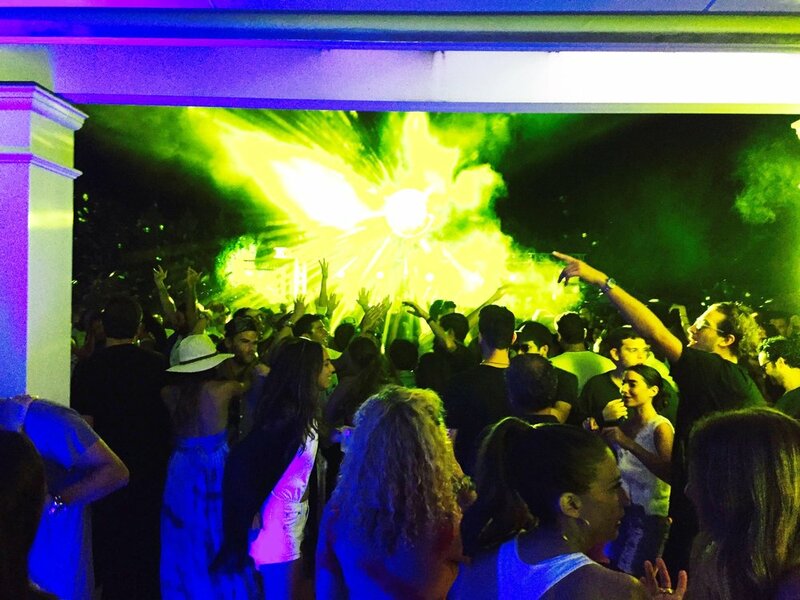 Creates the ultimate lighting experience to transform your event into a club. Beams of light sweeping the dance floor along with a mist of haze help to create that special moment. 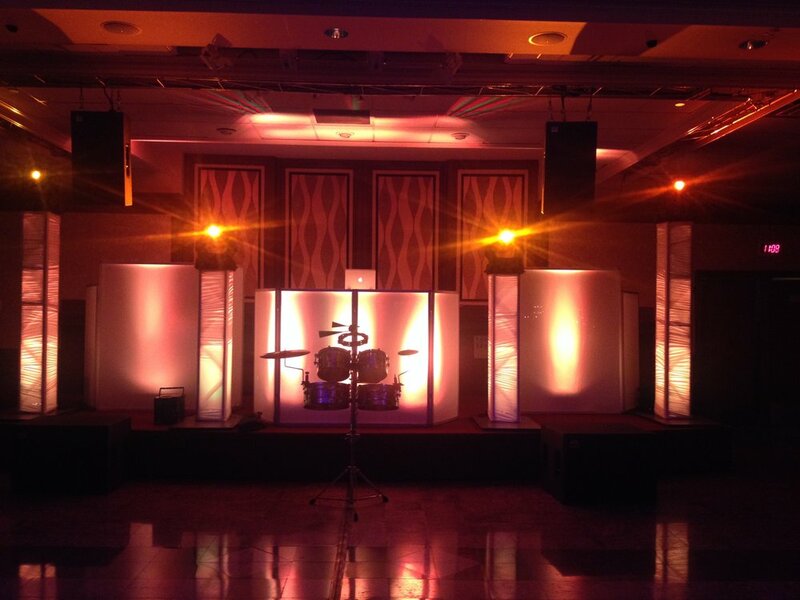 Uplighting - LED lighting fixtures placed around the room to enhance the ambiance and feel of your event. Perhaps the room should be blue upon entrance and magenta during dinner. 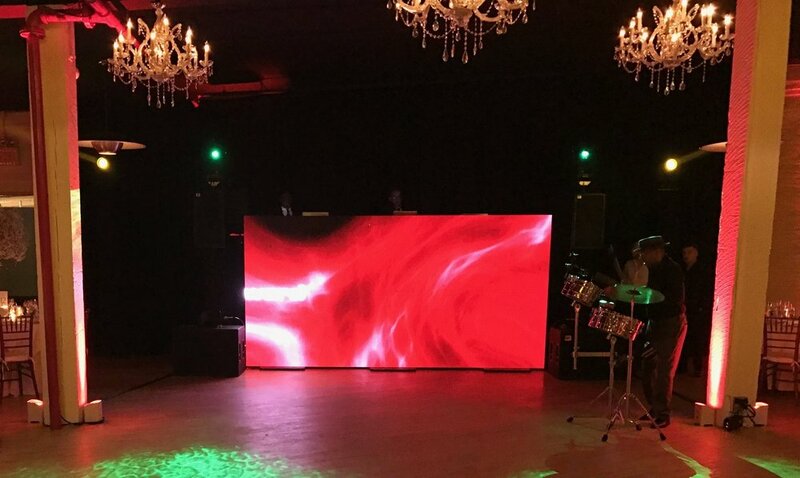 LED uplighting provides the ability to set the mood and change it on demand. All fixtures are wirelessly operated and battery powered. Monogram - Project your name in lights! 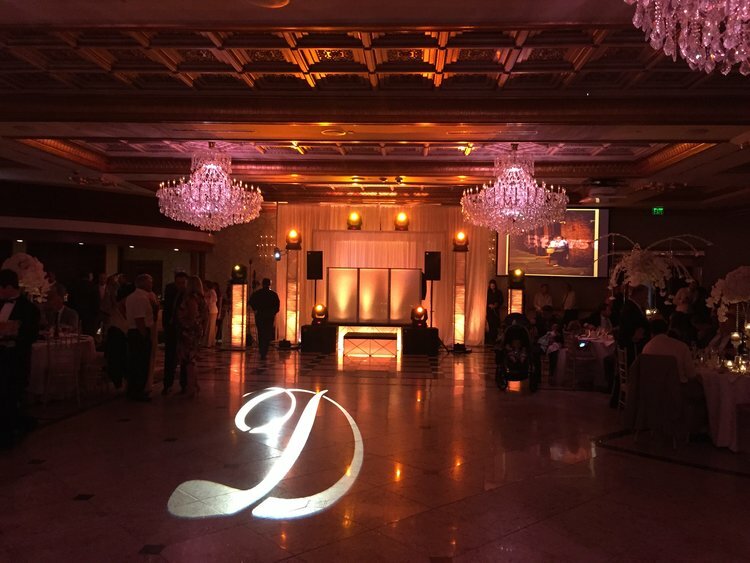 Place your initials on the Dance floor or your name flashing above your Dais table. Custom monograms AKA "Gobos" add that personal touch. 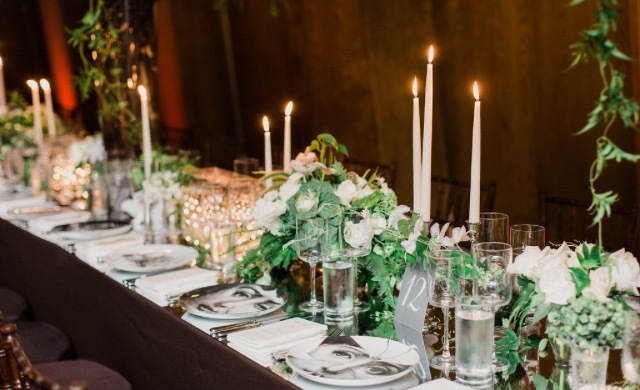 Pin Spotting – Light your centerpieces! 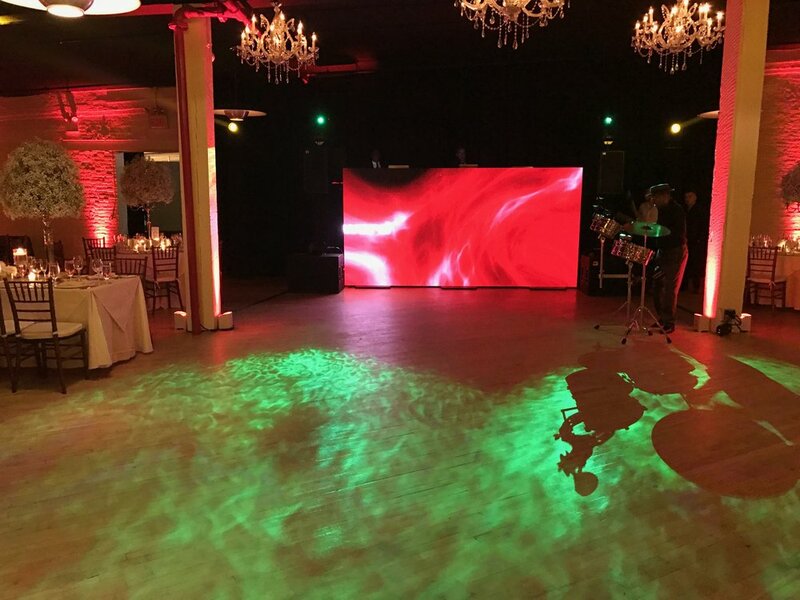 A special lighting technique to highlight certain focal points of your event. Add a spotlight to your beautiful wedding cake or showcase the flower centerpieces on each one of guests table. Provide attention to detail! Video speaks a thousand words! Memories are always captured in pictures. 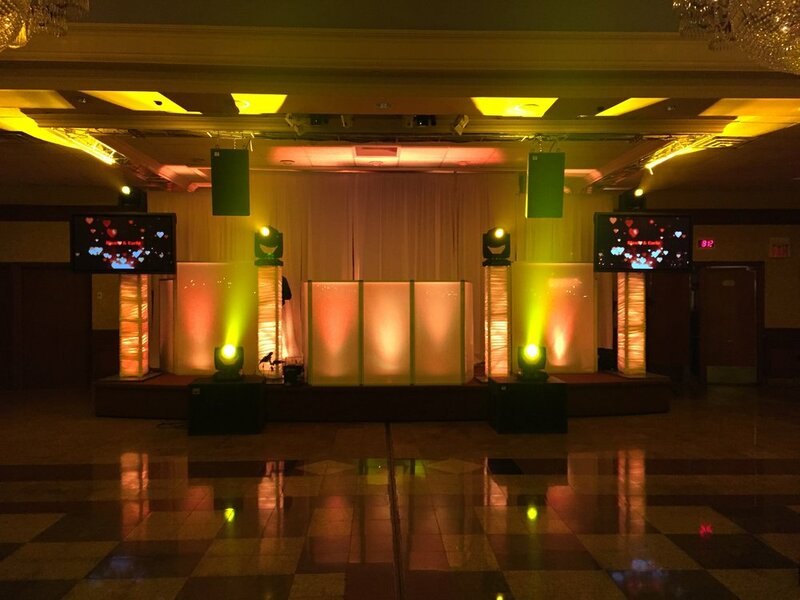 Let us showcase those pictures & video at your event. The right combination of Video Design will create memories of a lifetime! 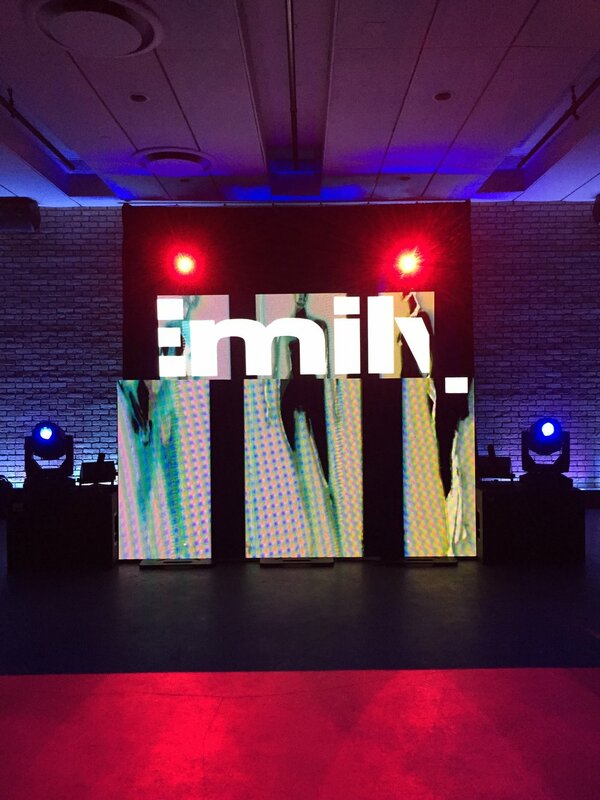 LED Video Wall - A Custom sized LED panel screen designed to add the wow factor to any event! 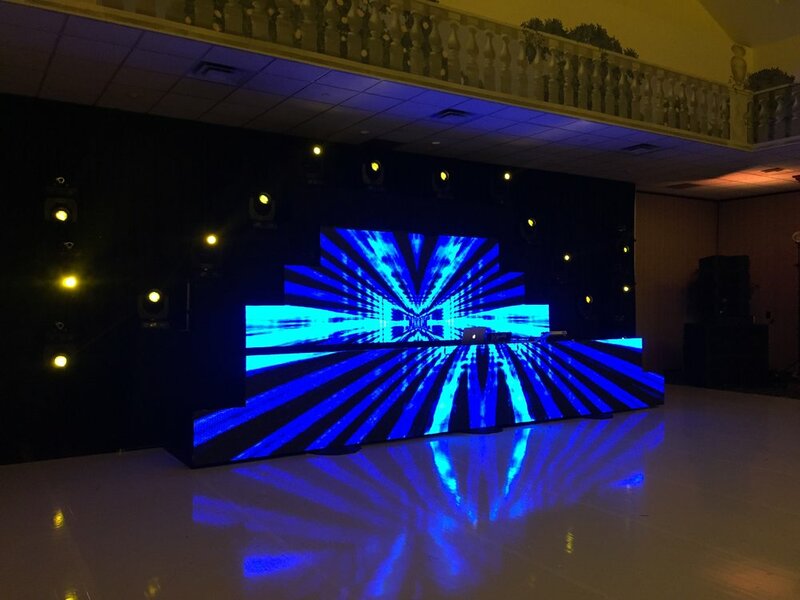 Whether it be a Video Screen as the Façade for your DJ, or a 15' wide backdrop for a Dais, utilize a LED Video Wall to project images at massive sizes. TV Monitors - One of today's standards in Video Design. Add 1 or more TV Display monitors to suit the viewing needs of your event. TV Monitors can be placed on the left and right-hand side of your DJ setup or spaced out accordingly in your room. Ceremony Recap - Bring your wedding vows to the event! Your guests didn't make the ceremony? No worries! It's the same day edit concept. Your wedding ceremony is filmed, edited, and provided for all of your guests to view at that special moment during your wedding event! All videos are shot by a professional videographer and provided to you at the end of each event! Digital Stills - Add a photographer to capture those candid moments. A photographer can provide photo journalist picture taking for the event. 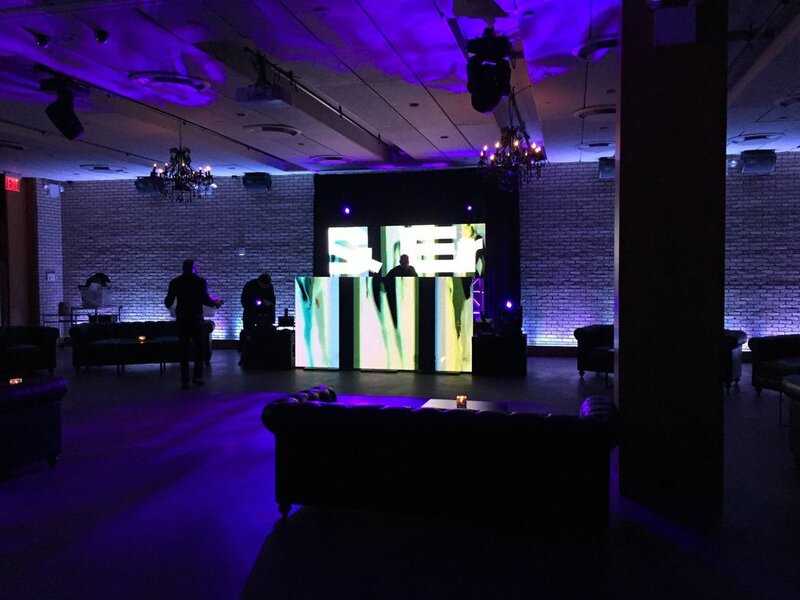 All photos are projected onto the screen throughout the duration of your party so your guests can experience the moments instantly! 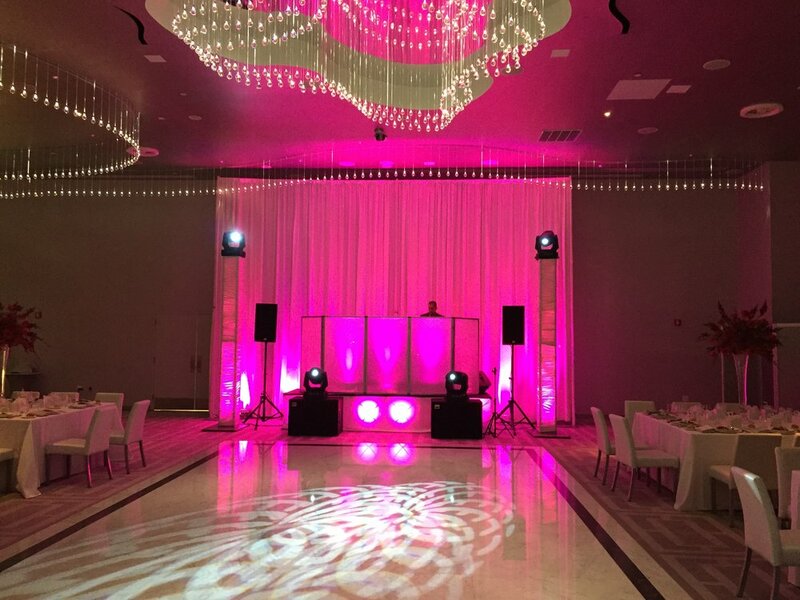 Additional décor elements can transform any venue. 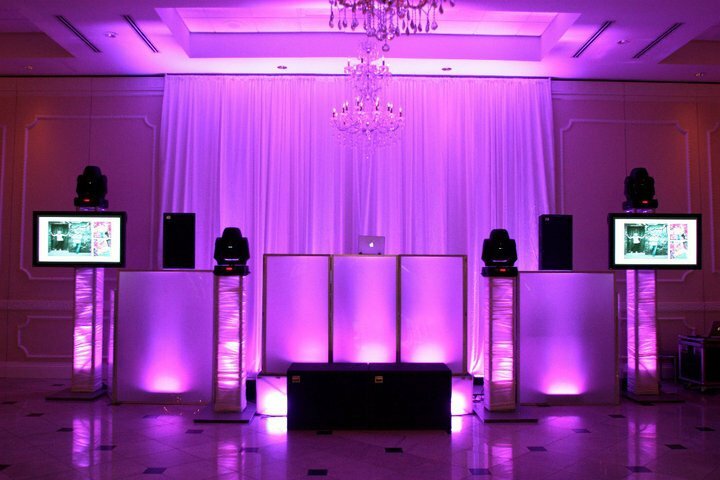 Add furniture to create a lounge, provide draping, make your dance floor white, illuminate your bars. Décor makes any event ordinary to extraordinary! Lounge Design - The party is going after hours? Lets create the ultimate lounge setting. 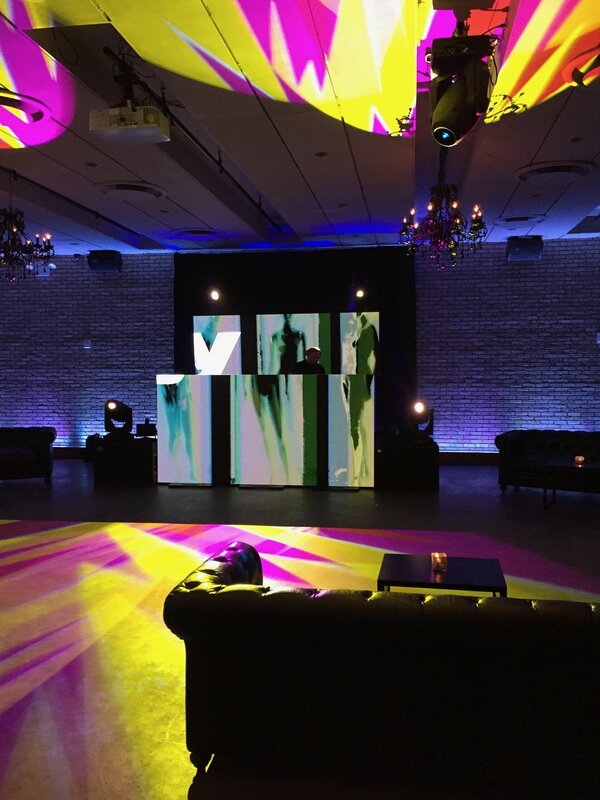 Custom lounge design transforms any room into the perfect space to keep the party moving. From elegant couches to illuminated tall boys we create the complete package. 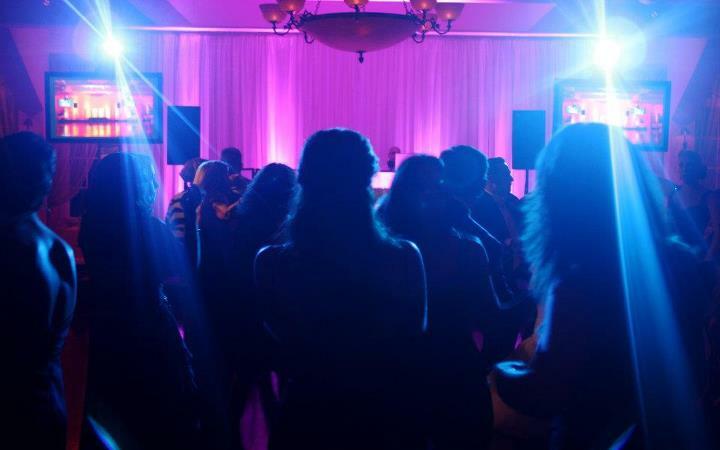 Dance floor - Saturday night fever comes to your event! 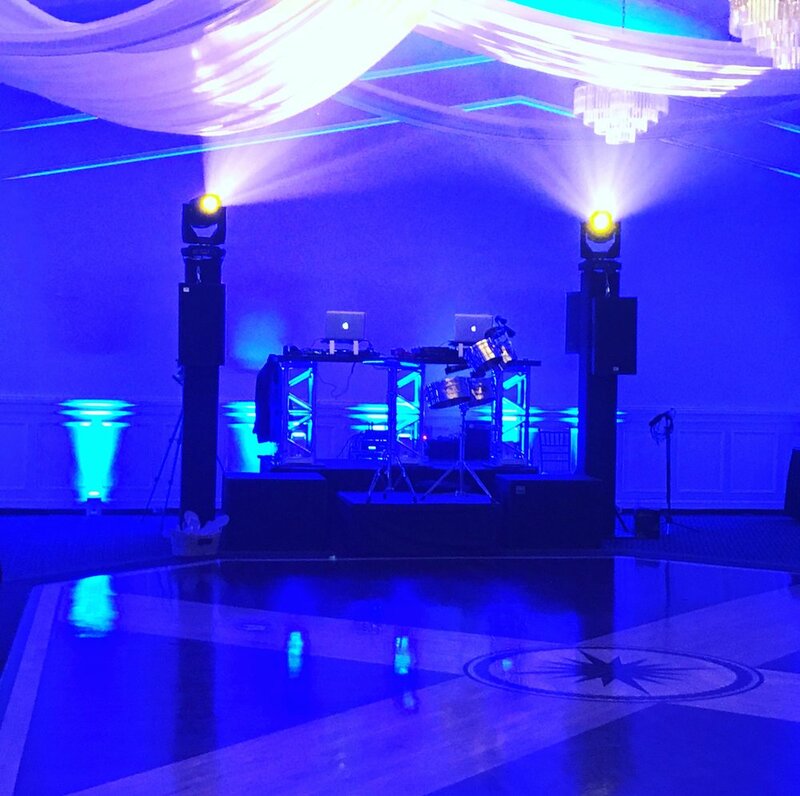 Illuminate your dance floor! 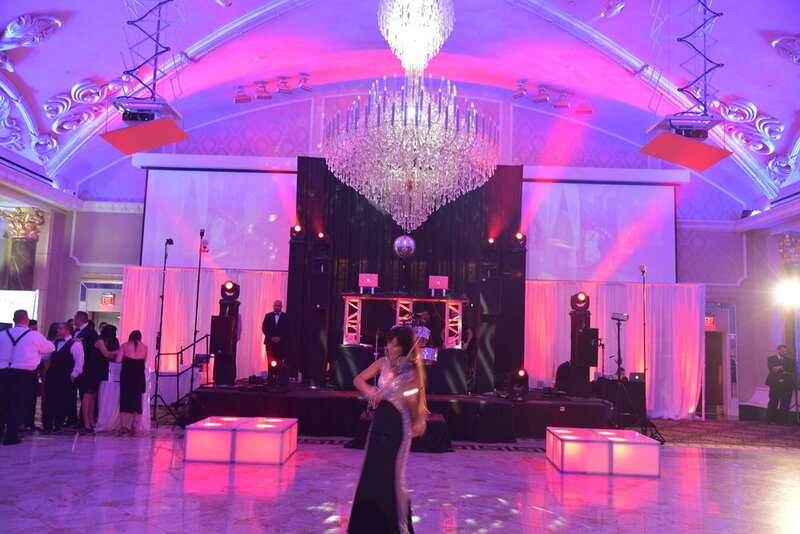 We create custom dance floors for any size or look to match the ambiance of the room and theme of your venue! Drapery - Custom drapery provides the option of splitting a room, covering a wall or creating a unique backdrop landscape. We provide all different styles of drapery fabric and colors! Furniture - Couches, bars, tables, day beds. We can bring any style of furniture to your event! Sometimes a room calls for space filling. Setting up a custom area of furniture can create the right balance of décor. Furniture can also provide room spacing optionality when your room is bigger than your guest capacity! 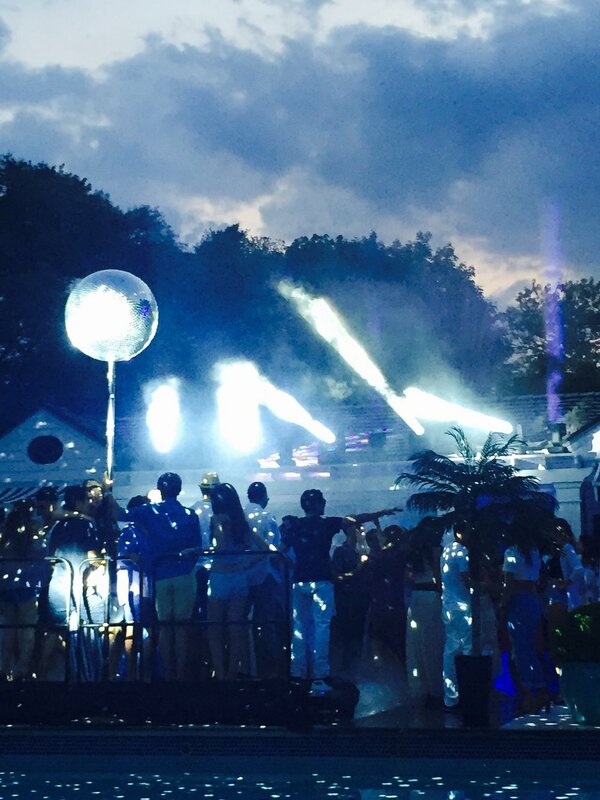 Let us make that event pop! 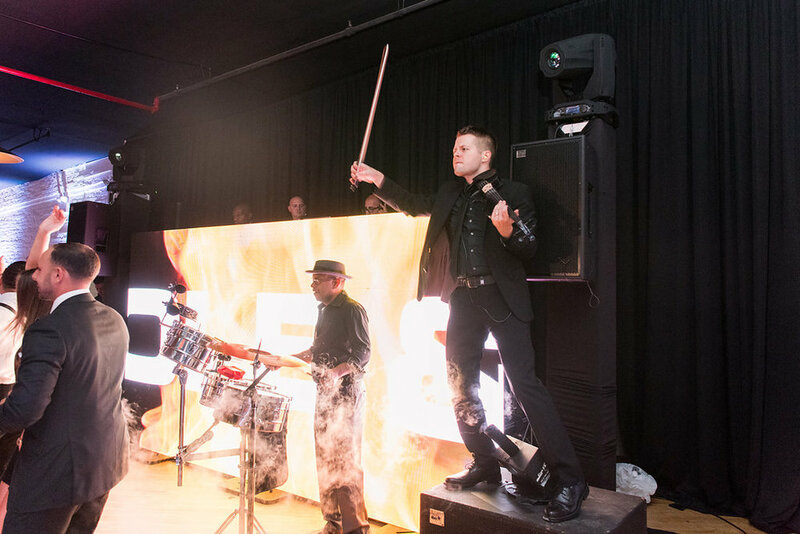 Special effects can add excitement and that knockout factor that can push your party right over the top! 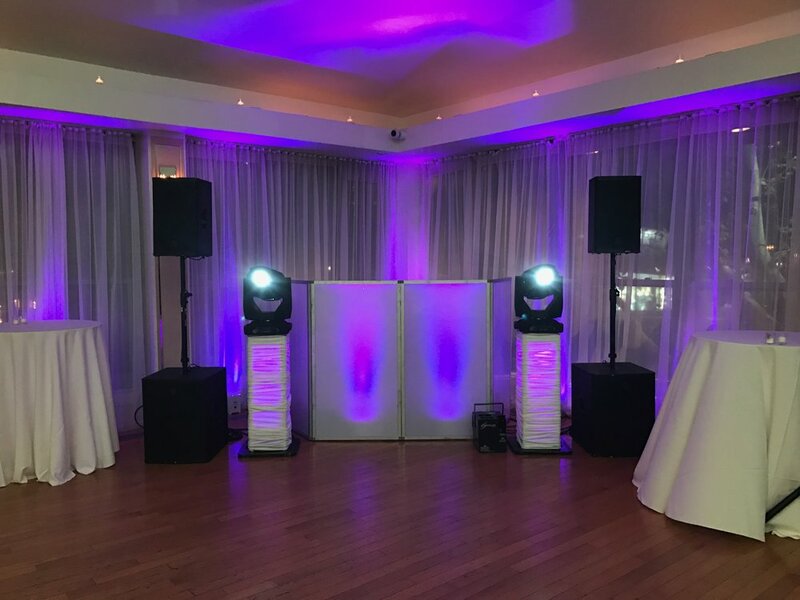 CO2 Blasts - Cool streams of white smoke dissipating on the dance floor at high music elevation points creates excitement and keeps your guests moving, Sold in pairs of 2 for stationary shots or in a mobile jet pack option. Low Lying Fog - Feel like you're dancing in the clouds! 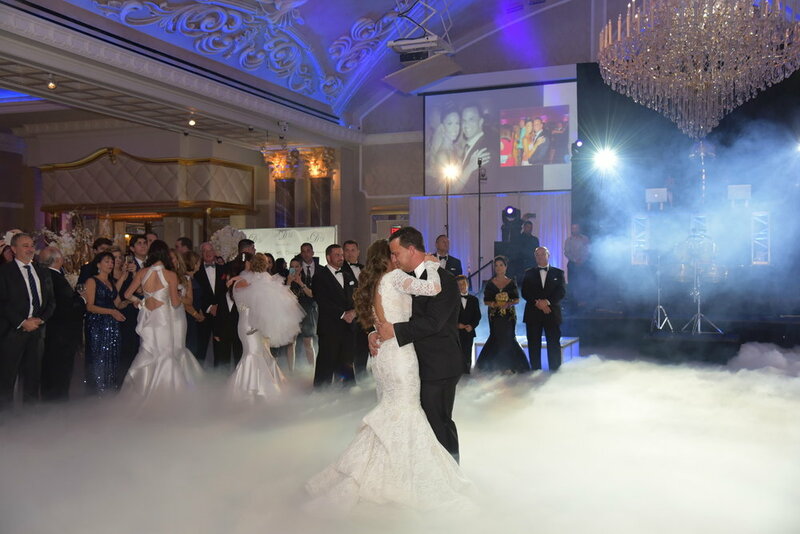 Low Lying Fog fills your dance floor with white smoke to add a beautiful effect while you're celebrating your first dance on your wedding day. Usually featured for a special dance or introduction. Sparklers - Add the pyrotechnic fire effect to your entrance or first dance celebration. Non-Flammable and smoke free provide for a safe and memorable moment. LED Robot - Bring in that special guest from MARS! 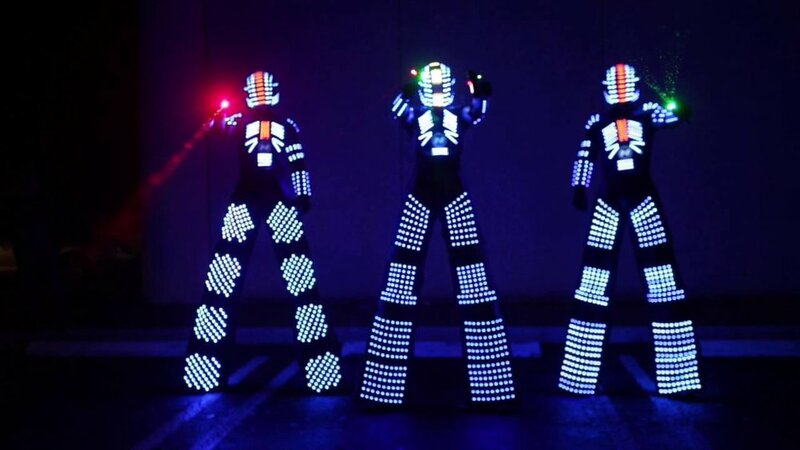 Our new LED robot dances the night away with your guests and turns your dance floor into a House music Craze!! LED Robot performs for a 30 minute set and takes pictures with all the guests! CO2 jet pack included in the set. Let guests take home a picture moment from your event. We offer an array of photo booth options that include closed and open style setups. 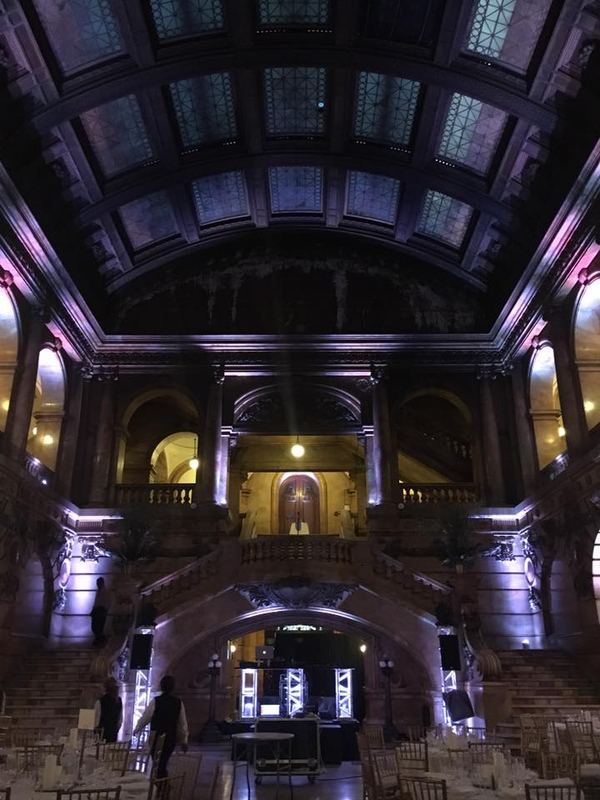 We can also provide the red-carpet experience to create the perfect party premier. Step N Repeat - Red Carpet, Red Ropes, Stanchions, Custom Backdrop and a party favor to go! Create that custom Red-Carpet experience and have your guests feeling like they are attending the Grammy Awards. Provide photo favors with a custom feel placed in a frame of your choice! 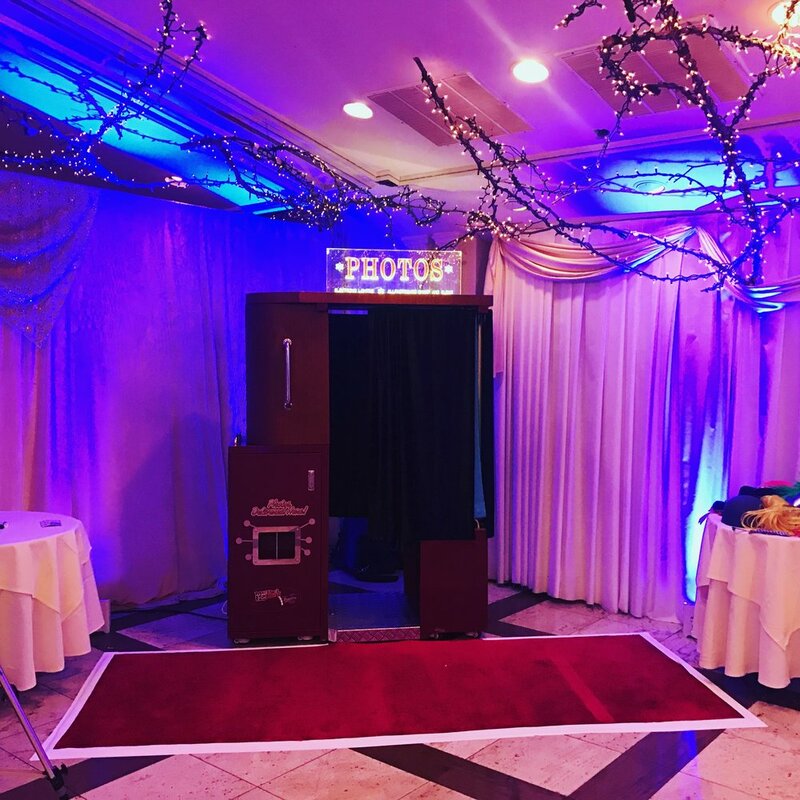 PhotoBooth - Keep it traditional with a closed style booth, or open it up so the group photo shots won't be missed. 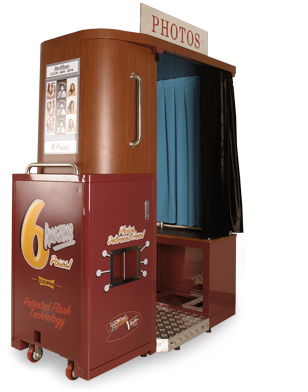 We provide all style of photo booth options to make your event memorable. All booths come with unlimited prints, props, and a photo book to take home as a picture souvenir!